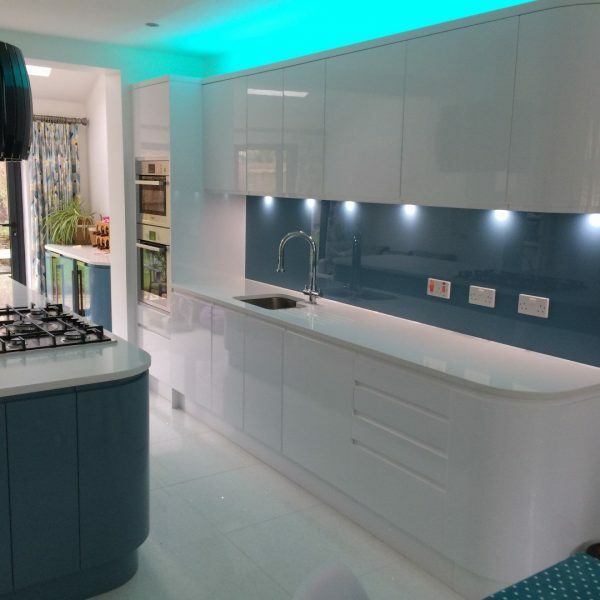 At Blax we are able to offer a range of lighting to create different scenes, make life easier when working in the kitchen and to add a touch of luxury, depending on what you would like from your kitchen. 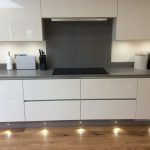 What types of lighting are there? 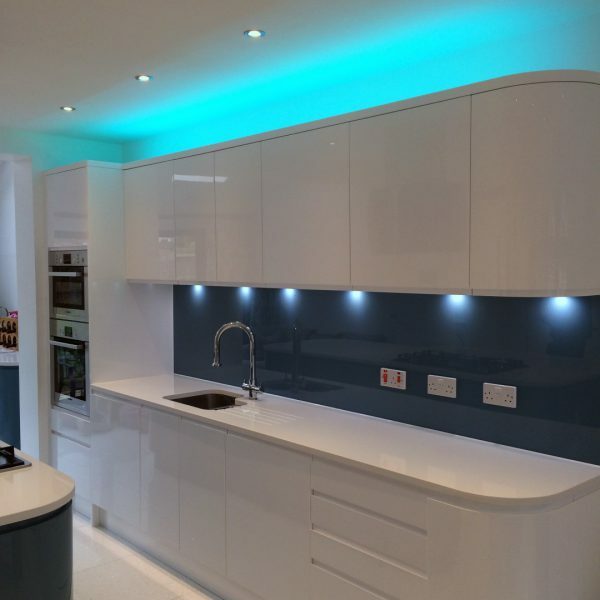 By under cabinet lighting we mean lighting that has been fitted below wall units. 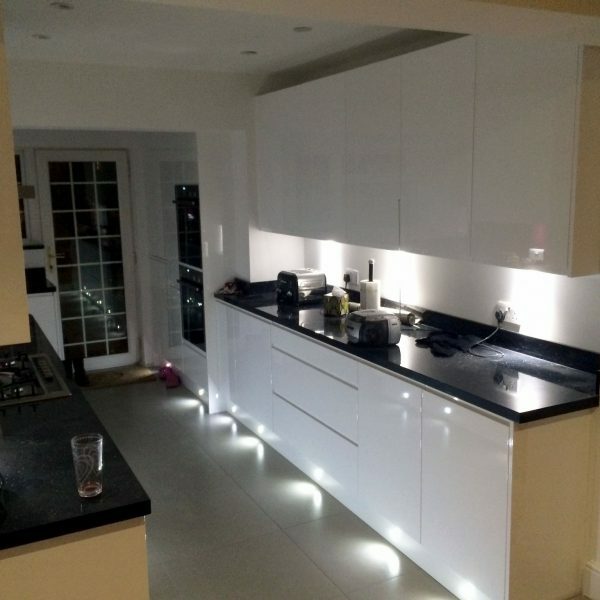 For lighting below base cabinets this is called plinth lighting. 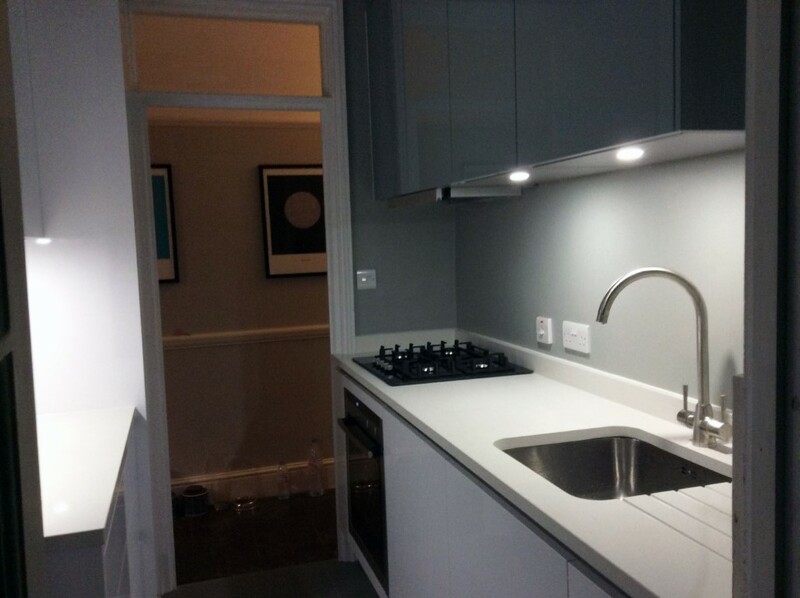 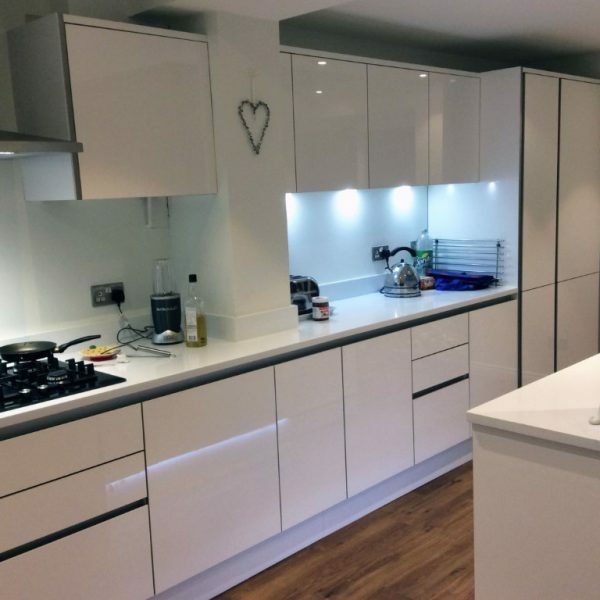 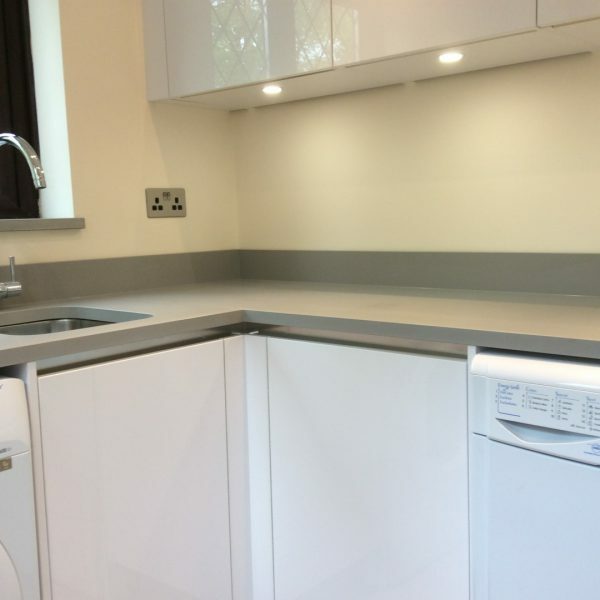 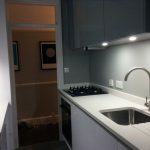 Under cabinet lighting is also know as task lighting and is a way to light up your working area and worktop space and give you a good reflection off of your splashbacks for example. 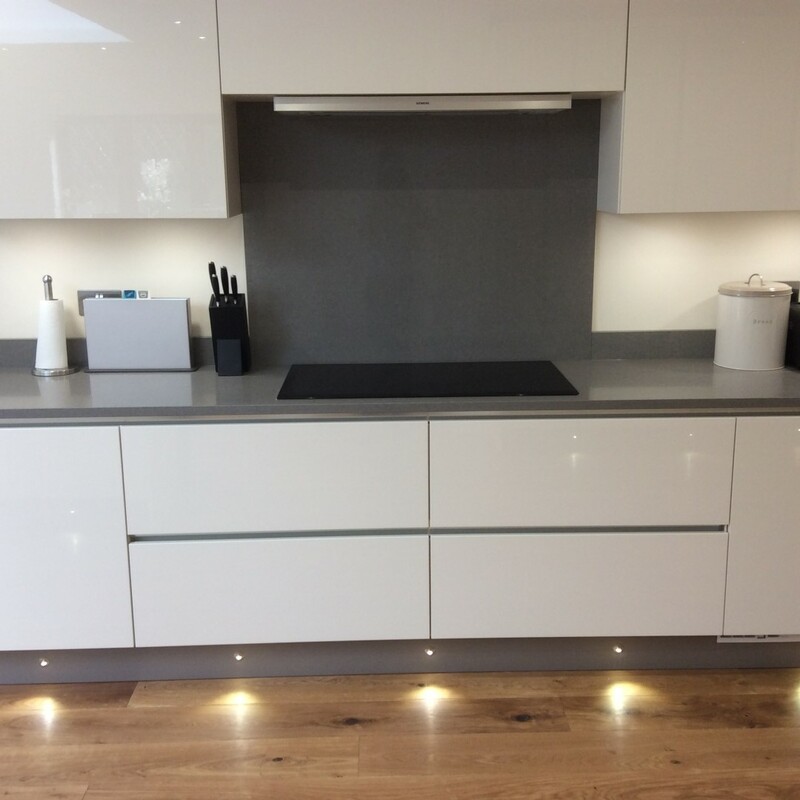 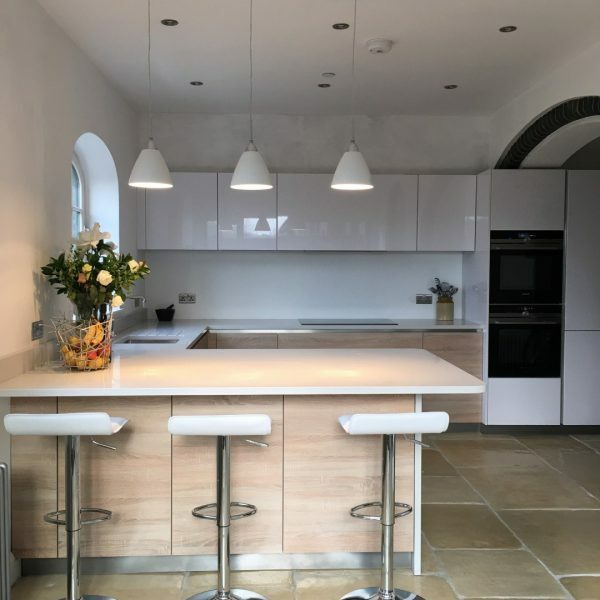 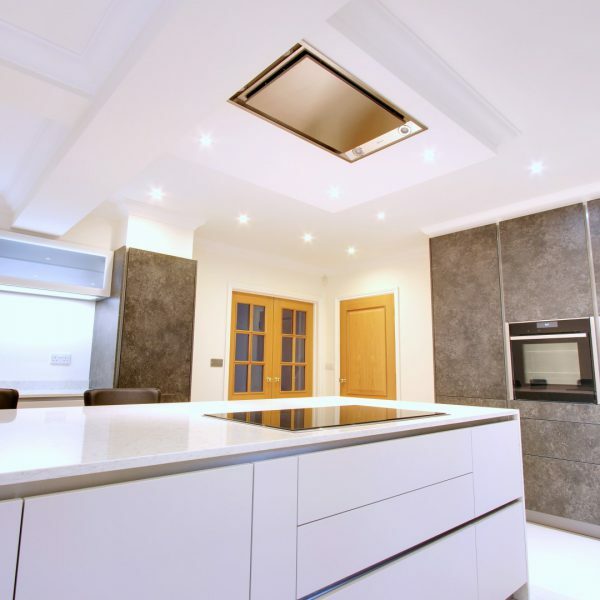 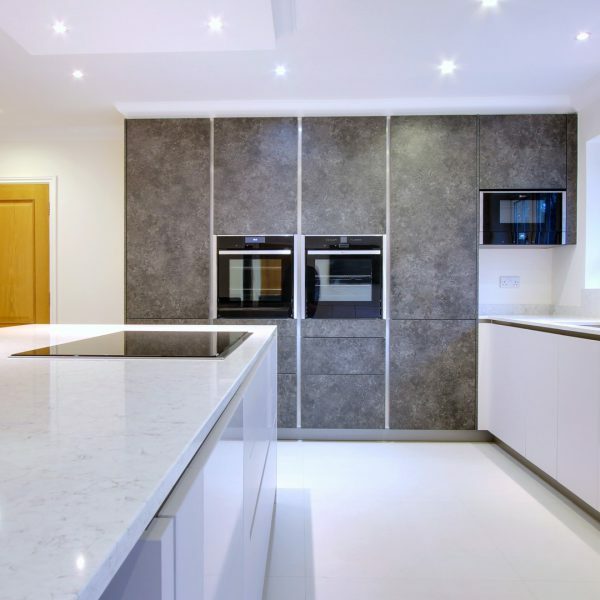 Plinth lighting gives a dramatic effect to any kitchen, it works well with modern gloss and matt finish kitchens offering an appealing and tasteful look. 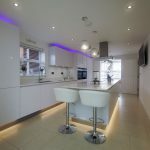 It can help to accentuate your flooring too. 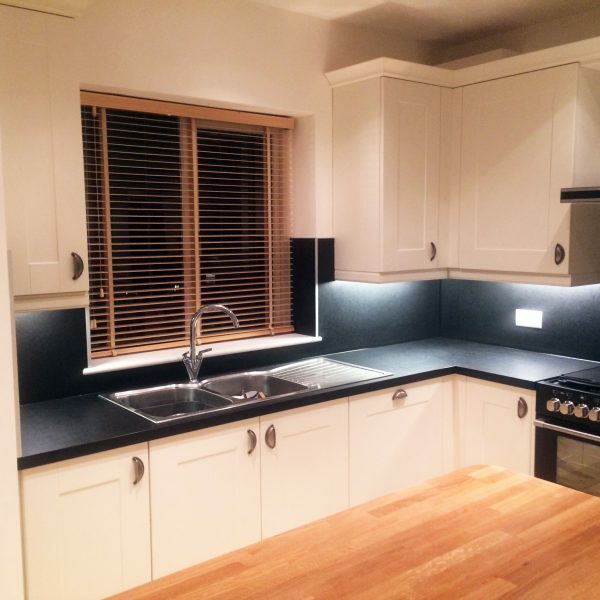 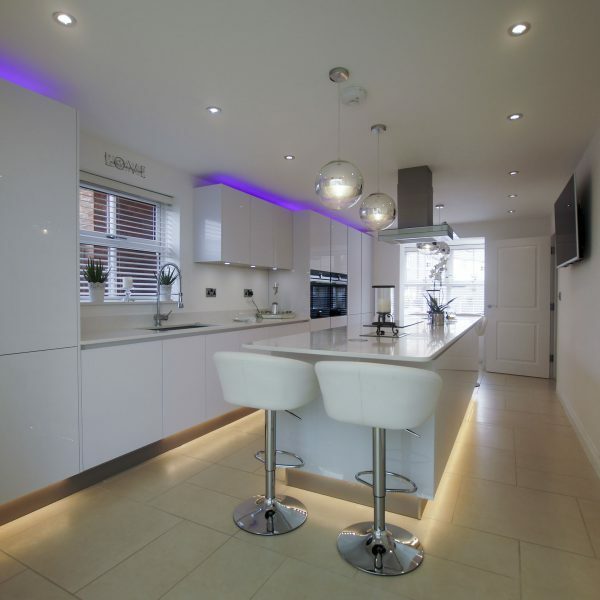 With our mood lighting you are able to transport yourself into different themes in your kitchen. 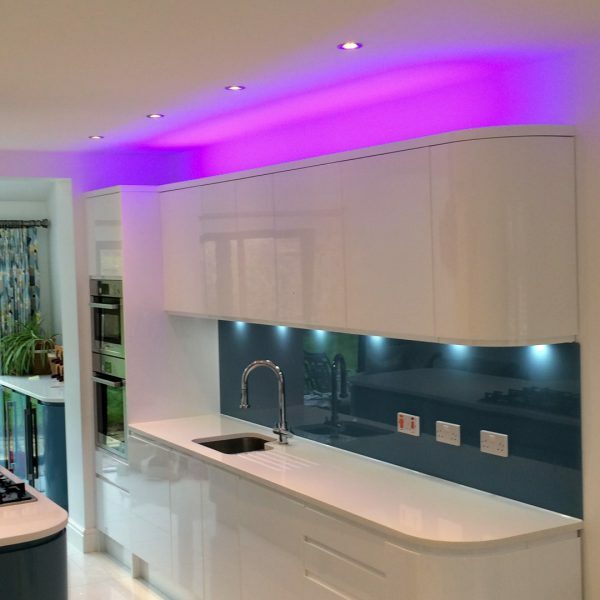 Multi-coloured LED lighting with full control over brightness and colour are all possible. 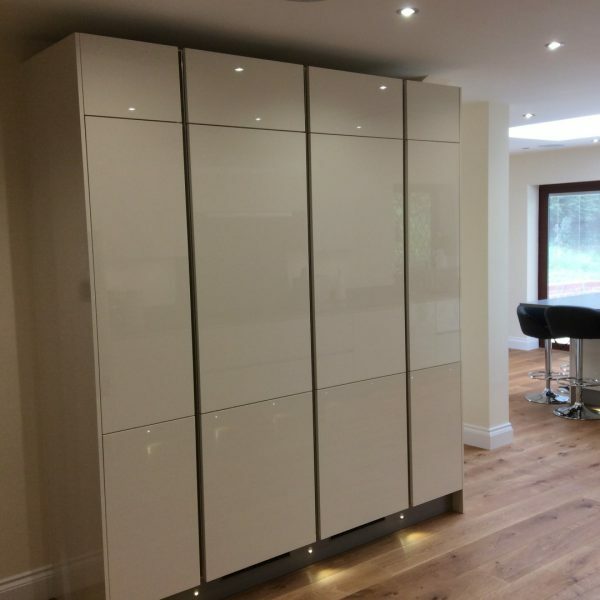 The mood lighting can be installed in plinths and above wall cabinets, also inside drawers and cabinets for an extra special touch. 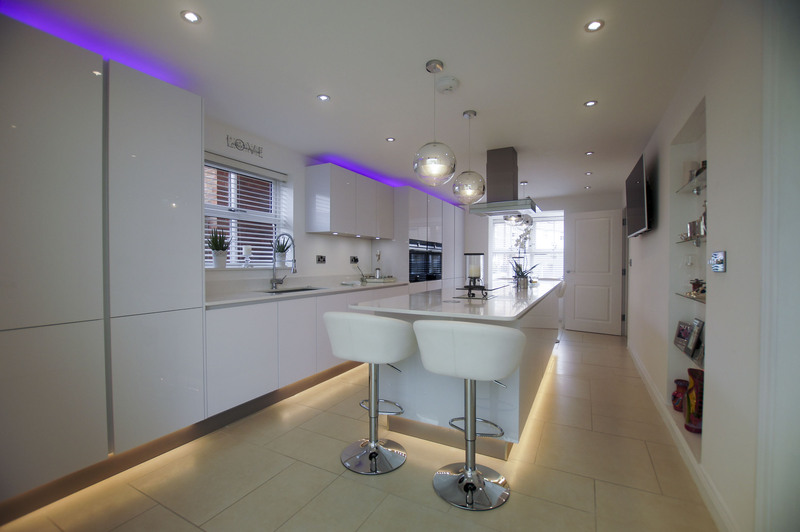 Some examples of kitchens we have designed and installed with various lighting.